Download and install the best Poker Apps on Android or iPhone from our Top 5 List below. Poker was deemed a game of skill some years ago by the courts, which is why Google do not allow the apps in the Play Store. While all real money gambling apps are banned from the play store, iPhone users don’t have the same issue. For anyone looking for the best apps, we’ve created guides for downloading mobile poker apps on Android devices, just select your favourite below! Edit: Some poker apps are now available in the Google Play Store, it’s advisable to check with your chosen poker app to see where is best to download it. Please note: The information provided in our reviews below is based on personal experience and our personal opinions of each bookmakers products and services. The welcome bonuses for mobile poker can be much more attractive than it is for casino or sportsbook. Some of the top platforms offering up to £1,200 for new users who deposit and play! Amazing value if you are an avid poker player, just be aware of play-through conditions. Because of all the options available, we have collected the best real money poker apps, all free to download. Just select an app from the list below to signup and get the app. Everything you could ask for in a poker app, bet365 deliver an all around great mobile poker experience. You could be playing Texas Holdem on your Android in minutes. 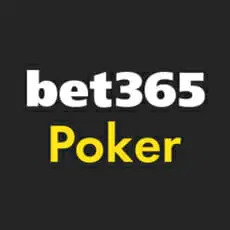 Downwload the bet365 poker app on Android or iPhone for a full range of card games and bonus promo’s. Bonus:Welcome Package of up to €365! €365 bonus is redeemed in instalments based on Status Points earned. Tickets and prize wheel spins expire after seven days. Time limits, exclusions and T&Cs apply.For more information about this offer please visit the website. 888 poker is so much fun and has some of the best online poker games available on mobile. Play all types of free or real money poker like sit and go’s, cash games and tournaments. All of this while playing real players from all around the world. Create your 888 Poker account now and claim a bonus £20 bet with no deposit required! One of the top Android poker apps available, play Texas Hold’em, Multi Table, Speed Poker and more on mobile. Download and install the Ladbrokes Poker App on Android or iPhone and claim upto £1,200 deposit Bonus! Paddy Power Poker app for Android and iphone lets you play poker wherever you are. The Deposit £5 get £20 in bonuses offer has a number of T&C’s that can be found of the offer page. Make sure to check them out. Sky Poker takes the best poker app spot due to it’s ease of use and massive signup bonus. You get a bonus £10 in poker tournament tokens and 200% deposit bonus on your first deposit up to £500! Just enter the Sky Poker promo code “POKER” on sign up to claim the bonus bets. The play-through conditions on some signup offers are usually related to FPP’s (Frequent Player Points) or Rake (the amount of money you wager during games), which is a percentage of the total pot in the table you are playing at. Obviously, the key here is playing as often as possible and contributing to the pot. It is not unusual for some semi-pros or pros to go 10 hours straight (or even more) without a break! When you open your account to signup use the Bonus Code: MOBILE365. Download the app and select “Join” on the home screen to open your account. At the bottom of the form add the bonus code MOBILE365 in the promo code box. Please note: The information provided below is based on personal experience and our personal opinions of various apps we have tested. This is a general guide based on our experiences, but if you’re looking for specific information on a particular app, check with the bookie. Downloading mobile poker apps is relatively easy. However, the process is different depending on whether you use an Android device or iPhone. This is due to the fact Google and Apple treat gambling apps very differently. If you need to find a poker app for Android, the process is a bit different. Since Google doesn’t have all poker apps, you won’t be able just to go to Google Play and find the app in all cases. Instead, you can usually visit the main site and find the download location. Sometimes you’ll receive a text message with the download link; sometimes there’ll be a QR code you can scan to initiate the download. Either way, it is a bit more complicated than with iPhones, but not terribly so. Overall, downloading mobile poker apps doesn’t require too much effort on your part as long as you know where to look. iPhone users will be able to find a variety of mobile poker apps in the App Store. These apps are readily available for download and installation on your device. The process is pretty much the same as for any other app out there. All big online poker sites are featured in the App Store, and you shouldn’t face any issues. Nearly all poker apps will let you play Texas Hold’em and Omaha cash game tables. These are the games most people are interested in, so every poker app worth its salt will make sure to enable access to a number of tables across different stakes. Whether you want to play for pennies or stacks, you’ll usually find the selection of cash game tables satisfactory. Sit & Go’s are another game variation that people enjoy playing tremendously. These games are appealing because they don’t last too long and, unlike cash games, they limit your losses. You pay the fixed tournament entry and play against other players at your table, competing for prizes. Most poker apps also offer a unique variety of jackpot sit & go’s where players can win big money if they get lucky. If you are looking to play multi-table tournaments, you’ll probably need to look for the best poker apps out there. While tournaments are also very popular, you’ll find that not all apps will let you register for these events. Sometimes you won’t be able to play at all and sometimes you’ll be able to play if you first register on your computer. Just keep in mind that poker tournaments take a long time to finish, so make sure you don’t run out of battery. Since 2003, online poker has seen a continuous increase in popularity. People from all over the world have taken an interest in an activity that’s spent a lot of time obscured from a view of the general public. As the number of those interested in poker has grown, the demand for availability increased as well. This lead some of the leading online poker providers to start providing mobile poker apps for their players. Online poker today is an activity enjoyed by many. While there are serious players out there, making a living playing the game, there are many more casual hobbyists who see poker as a great way to kill some time. These are the players who enjoy poker apps the most. The best poker apps out there let them log in and find a game to their liking within a few minutes. Poker apps for Android will let you play for real money, just as if you were sitting in front of your computer. Everything you win or lose playing on your mobile device is just as real as if you were playing from your PC. Of course, the best poker apps will also let you fund your account or request withdrawals using various popular (and less popular) methods. From credit cards and e-wallets to prepaid cards and even bitcoins, you won’t have any problems with moving money around via poker apps. E-wallets are probably the easiest and safest method to use with Android poker apps as they are quick and easy to use. Will poker apps work on my device? Most modern-day big brand smartphones run poker apps. As long as your phone, whether Android or iPhone, isn’t very old, you should have no problems with a majority of poker apps. Some of the brands you’ll find covered include various Huawei, Samsung Galaxy, Google Nexus, Google Pixel, Sony, and many other phones. Why are there no poker apps on Google Play store? As briefly mentioned, Google Play didn’t use to allow for any gambling apps. You couldn’t download any online poker, casino, or betting apps from there. Instead, you had to find the Android poker app download links on the main site of the online poker room. These days some poker apps are accessible on the Google Play Store in the UK. Can I switch from my mobile app to computer and vice versa? Completely depends on the app and it’s always best to check with the poker app of your choice to make sure.